75% of ink and toner particles are layered on top of each other or absorbed inside the paper substrate - and wasted! No ink or toner is wasted! Only the effective 25% of ink and toner are used to create visible content. 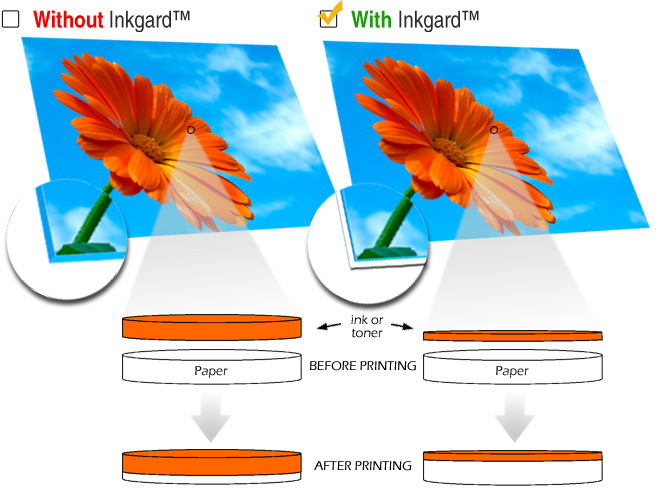 Find out how much Inkgard can save you!